The Winter School Program at The University of Western Australia was established in 2010, with the objective of enhancing collaboration between The University of Western Australia and universities in China. Students from overseas are able to experience research and learn about the requirements of PhD study at The University of Western Australia, as well as develop conceptual thinking on project design, scientific writing for research publication; and understand and be capable of performing techniques which are useful for research work at their home universities. The Winter School program is designed to give students a brief introduction into postgraduate study and research at the University of Western Australia. Students will undertake a week of specialized lectures & workshops, before commencing their specific placements. This year, the program will run in two streams: one for undergraduate level students, and one for postgraduate level students. Undergraduate students can choose between General Practice, Pharmacy, Food & Nutrition, and Pathology/Pharmacology & Microbiology Coursework. 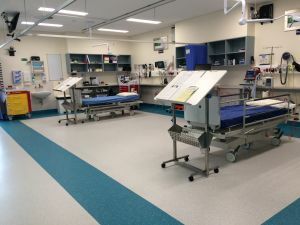 Postgraduate students have the option of either Laboratory Research or Clinical placements (including Podiatry, Orthopaedics, Ophthalmology and Dental Health). At the end of the program, students will be expected to give a short presentation (5-10 minutes) in English on their learning experience. Presentations may be either individual or in small groups, depending on the placement. More information will be given during the program orientation. The Undergraduate Program will commence on Monday 24th July, and will run for 5 weeks. The Postgraduate Program will commence on Monday 31st July, and will run for 4 weeks. Students selected for this program by their home university will be provided with details for online application. If applying for a clinical placement, you must also provide evidence of immunization compliance - these requirements are mandatory. Download the form here.